Bhagavat Nam Kirtan — The Essence Of Divine. 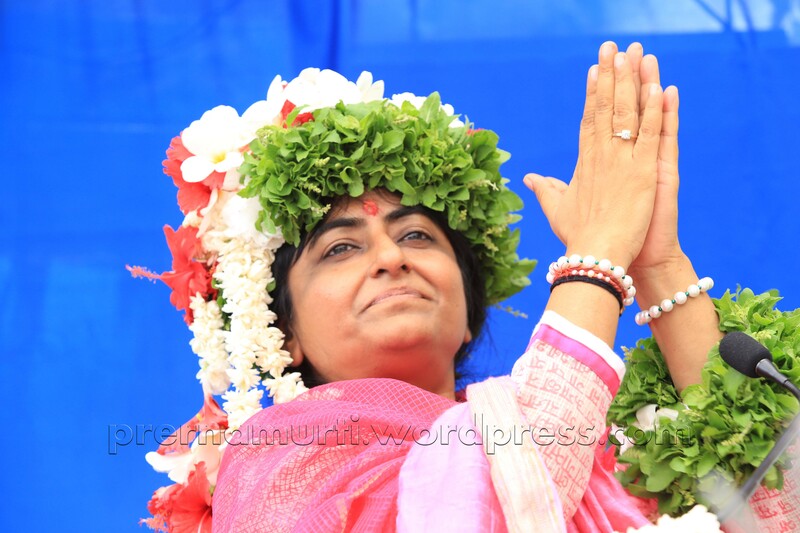 Prernamurti Bharti Shriji through her affectionate towards mankind makes us understand the divinity and powerful experience through soulful krishna kirtan and explains the diffferent swarup of Lord Krishna. The masses of people in Kaliyuga don’t observe celibacy, purity in food habits and purity in daily actions. They are given to gross over­indulgence in food and other divine activities. The Gita prescribes the observance of trikaal sandhya, i.e., worship of the Lord three times of the day. It is impossible for most persons in the Kali Yuga to perform such worship. Other modes of worship, such as fasting or performing various austerities, are hard to follow. The best ascetic practice in Kaliyuga is Naamsankirtan i.e. group­singing of the Naam, especially the Taarak Brahma Naam. The Shastras (scriptures) recommend singing of Naam Kirtan. The fruits that one can obtain through Meditation in Satyuga, Sacrifice in Treta, Worship in Dwapar, can very easily be obtained by merely singing Naam in Kali Yuga. In these times, meditation cannot yield fruit because the minds are not pure or strong and one­pointed as they probably were in another age. It is only a painfully small minority that can successfully meditate. Most spend an entire lifetime only trying to learn the method. Many come across hurdles of varied sorts, varying from the downright physical to the What is Naam? A name….any name….of the Lord is called Naam. The practice of repeating any of these names is called Naam japa or Naam kirtan. So if you repeat Ram, Ram, Ram…or Durga, Durga, Durga, or Hari, Hari, Hari …you are taking recourse to Naam. The tradition of naam sankirtan is very ancient. Naam means ‘name’, sam means ‘complete’ and kirtan is the chanting of simple mantras set to music, together in groups, with rhythm, energy and devotion. The prefix ‘sam’ implies that one should sing kirtan with full feeling (bhava), love (prem) and faith (shraddha). Naam sankirtan is one of the nine forms of bhakti. In Kali yuga, the present age, the simplest way of attaining peace and God is through naam sankirtan. “There is no other path, panacea or way out in the present era. The singing of God’s name is a science which has been perfected in India over thousands of years. It is a part of nada yoga, the yoga of sound, in which you produce sound waves and follow them with your awareness. Nad means ‘flow of sound vibrations’, yoga means ‘to unite or merge with’, so nada yoga is uniting or merging with these sound vibrations in an attempt to transcend the mind. Kirtan is mantra or eternal sound. When the mind becomes one with the nada or sound and the mantra, there is no difference between the mind and the mantra. Click the link to chant Lords name……….